10.000, 50.000, 100,000, now more than 300.000. Yes, the “PLAYING CARDS + ART = COLLECTING” blog has been interesting for people more than 300.000 times. This post could have other name and date. I made notes of my 1st month, 3d month and half a year on WordPress. You could logically expect “One Year on WordPress” (February 03, 2014). Well, man proposes but God disposes. Unfortunately I had to stop my activity on this site for some period of time. We all have different challenges of life. So, I don’t think that there is any sense to specify my own challenges here. This blog isn’t about them. Sorry that I have left you without new posts on my site for some time. The whole menu of PlayingCardCollector.net site was extended and improved. A lot of new (previously planned) sections have been added to it. Even “ABOUT ME” page has been rewritten and updated. Some sections are still “under construction”. I updated the “USEFUL INFORMATION” section as the new step in the development of my site (blog). The structure of this section was improved and several new pages were added. The main page of this section represents now the full structure of PlayingCardCollector.net site. Structures of “Sales & Discounts” and “Playing Card Art Requests” pages remain untouched, and these pages will be regularly updated with new actual information. But “Sales & Discounts” page was selected as a separate item of the new main site’s menu. The new main menu of PlayingCardCollector.net site has got a new main item – “HUNTING GROUND“. Its aim is to provide playing card collectors with additional instruments in their hunting for desired collectibles. It consists of three main parts: “Upcoming Decks of Playing Cards”, “Playing Cards: Contests and Giveaways” and “Different Places to Find Playing Cards”. The names reflect senses of the respective parts (subpages). Playing card projects are quite popular and successful on Kickstarter. But Kickstarter has some problems which the company doesn’t want to resolve. The main of them are scam projects which are provoked by Kickstarter’s rules and indifference of the company. So, no wonder that new startups try to propose new thematic crowdfunding platforms with new approaches and innovations. One of such new specialized crowdfunding platforms for playing card projects is CardLauncher. Unfortunately, it slowed down its activity. But I am sure it has some serious potential. So, the “Kickstarter Projects” page moved into the new “Crowdfunding Projects” section which is a separate item of the main site’s menu, and will contain interesting information about other crowdfunding platforms. Also the “Kickstarter Projects” page will have appropriate archival sections for each year (check 2013, 2014). 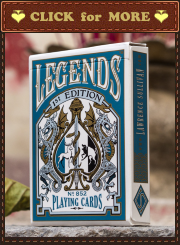 It also has now a special section devoted to all Kickstarter playing card projects mentioned on PlayingCardCollector.net site – “All Mentioned Decks“. The “Playing Card Companies” page has undergone changes. Being a part of the “USEFUL INFORMATION” section, it is now a reference list of playing card manufacturers and producers. Some playing card producers and manufacturers will get their own subpages with additional information about them. f) the “Different Useful Links” page – collects different interesting and useful links for modern playing card collectors. Different aspects of the “PLAYING CARDS + ART = COLLECTING” blog were composed as a new section of the site’s main menu – “BLOG: DATABASE” (Blog’s Database). The main page of this section reveals its structure. While the “Crowdfunding Decks” section is a separate item of the site’s main menu, it logically belongs to the blog’s database. e) the “Playing Cards and Art” section – reveals a blog’s stream dedicated to different additional points of contact between playing cards and art. f) the “Index: Reviewed Decks” page will have the index of decks reviewed on this blog: by name and by country. This blog expands its social media presence. I created a Google+ page for this blog to make its following comfortable for Google+ users. 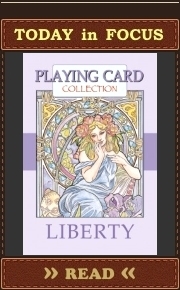 Here is the link to it: http://google.com/+PlayingCardCollectorNet. You can read, comment, share my posts and give “+1” to them. I also created the Playing Card Collectors Community (P3C) on Google+ to provide collectors with an organized place for comfortable thematic communications and information sharing on Google+. Here is the short link to it: http://bit.ly/P3ConGoogle (the hashtags for it are #P3ConG and #P3ConGoogle). It is under development at this moment – full rules will be stipulated soon. Google+ users are welcome as well as their propositions. This is an open community for all interested. It is always interesting to try something new. I want to remind you that the “ABOUT ME” page has exhaustive explanations of: a) ways to follow this blog; b) searching tips for this site. 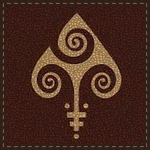 PlayingCardCollector.net has more than 2000 constant followers, but it is always ready for new communications. This blog traditionally continues to find new friends from around the globe. You can like the site (blog) on its Facebook page, give “+1” on its Google+ page and follow it on other social media networks. I hope to see people on this site (blog) again and again. And remember you can always invite your friends on this site (blog), share it on social media networks and resources, comment in a respectful manner posts on this site (blog) or rate playing card projects mentioned in its posts. Congratulations my friend for such a fantastic success on making happy to all of us that love playing cards design. Max, thank you. It means a lot.